Coming home to discover that your home has been broken into while you were away is one of the worst situations in the world. Many people fail to realize just how serious of a threat burglary is throughout the country. According to reports, more than two million burglaries have occurred throughout the United States. Even though there is no guarantee on whether your home is going to be broken into or not, you will want to do everything you can to ensure the property is safe and secure. One of the best things you can do to help prevent a burglary is to secure the property with doors and windows that are sturdy. Ensure your exterior doors are nice and heavy. Some of the best materials for your property are solid wood and metal. A flimsy glass door or wood door can be broken into with ease, which is only going to make your home more susceptible to a break in. Windows should have locks on them, but if they don’t, you will want to place a wooden dowel in them or some sort of track filler to help prevent the burglar from being able to open the window outside of the home. If you have a sliding glass door in your backyard, you will want to install one that has a secure locking mechanism and position a wooden dowel in the track to prevent it from being jimmied open. Before leaving home, make sure that all of your doors and windows are securely shut. Deadbolt and lock all of the exterior doors to the home. Since deadbolts are one of the best ways to secure your home, you will have the peace of mind you need when leaving home. A burglar will not be able to break through a deadbolt with a crowbar or pick them open, which ensures the safety and security of your home. Any of the home improvement stores will sell deadbolts that can withstand a tremendous amount of pressure. You won’t have to worry about your doors being kicked in or someone trying to saw their way into your home with one of these units in place. Another great means of securing your home is with that of security cameras. If you have a camera monitoring your property, you will know exactly when someone was around the area and trying to make his or her way inside of your home. 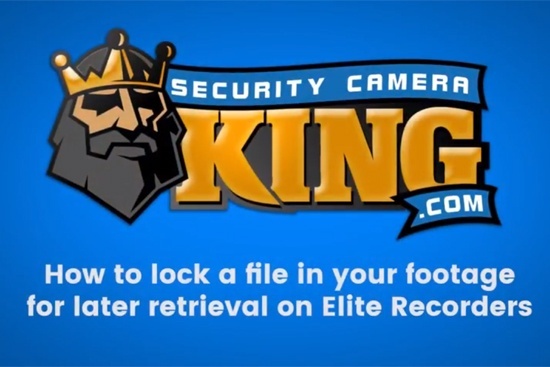 Not only will you have the evidence you need to capture the perpetrator, but you will also have the peace of mind to know that your home is protected while you are away. 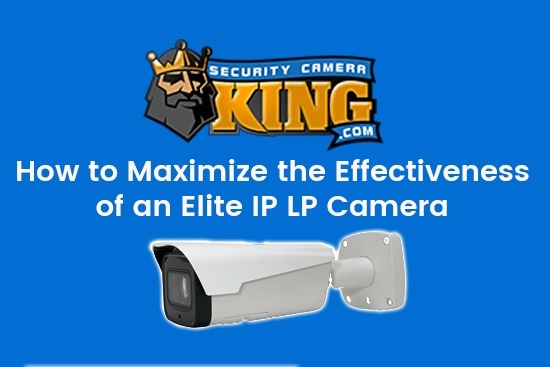 When you have a security system installed, you will be able to watch the video feed from any Internet device. All you need to do is go to the IP address provided and you will be watching live feed. If you see someone lurking around, you can call the authorities immediately and catch them in the act. In the event you are going to be away from home, add some lighting to your property to help make it difficult for a burglar to try to remain hidden in the shadows. If you are going to be gone at night, leave a few lights on to help provide the impression that someone is home inside even when they are not. Motion sensor lighting is ideal for lighting up your home. They will activate when an animal or person sets the detector off, so it will always ensure no one can hide amongst the trees and bushes of your yard. Make sure to place them high out of reach to prevent a burglar from trying to break them and create a darkened area around a surrounding windows or door. Depending on the situation, all it may take is a little deception to make the burglar think twice about trying to enter into your home. Purchase a timer that will trigger the lights at random times when you are planning to be away for a few hours. Not only will this help to deter the burglar, but also it will help confuse them as to whether your home is unprotected or not. If possible, leave a vehicle in the driveway to help add the illusion that someone is still at home. One of the other methods for deceiving burglars is to call your home phone, let it ring a few times and then hang up. The burglar will think that someone is there and answering the call, which helps deter him or her from trying to break into your home. If they think someone answered the phone, they are going to think twice about trying to make their way inside of the home. To discourage crime effectively in the neighborhood where you live, a neighborhood watch program may be ideal. Develop various shifts of a few people that will monitor the neighborhood throughout the evening hours. The groups can take three-hour shifts to help ensure everyone gets their much-needed rest while still ensuring the safety of the neighborhood. You can also form a partnership with local authorities and ask them what forms of protection the watch members can carry. Everyone should carry a flashlight and cell phone with them to ensure he or she is protected while performing his or her watch duties. Beyond losing a number of your valuable items from a burglary, it can also cause you to lose your sense of security. The first step in protecting your home from a break in is to secure your front door. Installing good quality locks will help to convince a burglar to move on to a target that might be easier. Even though only a small portion of burglars gain entry into your home from picking a lock, it will help to put your mind at ease in knowing that you have an added layer of security in your home. Beyond your primary lock, you will want to ensure you have a deadbolt lock installed. Since a deadbolt lock is a lot more resistant to someone trying to pick it than a traditional lock, the burglar would have to work twice as hard to get into your home. Try upgrading your basic lock to a model that offers more enhanced security features. Look for locks that have a contoured shape for the internal pins or a side bar to help thwart any traditional lock-picking attempts on your home. You can also switch to one of the less common locks on the market, such as that of a dimple lock, tubular lock or rotating disc. All of these locks will require the burglar to have special tools to get through the lock, which most burglars are not going to carry with them. Choose a lock that has ANSI Grade 1 classifications. These locks have the absolute highest designation of any locks found on the market today. For those who have these locks installed, they offer the absolute best in durability and security standards. Ensure the lock is not vulnerable to someone who is trying to pick it. Even though it may take some time to pick a deadbolt, many burglars are well equipped to handle it with ease. Choose a lock that has a high security cylinder if possible. These locks will have a special pin inside of them, which cannot be picked using a standard tool. Even though they may be a little more costly in the beginning, they will help to ensure the safety of your home for years to come. If you have a deadbolt lock that has a relatively short bolt, it will allow the door to be easily opened with a prying tool or crowbar. To help prevent someone from using one of these items to break into your home, you will want to ensure the deadbolt has at least a one-inch extension inside of your doorframe. Even though it may take longer to install the lock in your home, it will help increase your security level. One of the manners in which a deadbolt may be vulnerable to potential burglars is when they are made from certain types of materials. Locks that are composed of a soft metal can be sawed through without a tremendous amount of effort on the part of the burglar. Many of the burglars today have equipped themselves with hacksaws to get through deadbolts that are lower in quality. To help prevent a burglar from making their way into your home, choose locks that are made of a steel material. Depending on the type of deadbolt you purchase, the cylinder guard is easily infiltrated by being removed with a standard wrench. If you end up purchasing a deadbolt that has a tapered cylinder, it cannot be easily removed with a wrench. For those who want an added layer of security, you can opt for a lock with a free-spinning cylinder, which is a lot more difficult to remove with a wrench. Consider the price you want to spend on your new lock. Depending on what it is that you want to spend, you may have to sacrifice spending more money for the sake of enhanced quality. Locks are an integral component of any security system, so you want to do everything you can to ensure they are going to do their part for you. Even though you may not think it is necessary to spend a large amount of money on a lock, it will help to add an extra layer of protection for your home and everything you hold dear on the inside of it. Make your environment less inviting for any would be intruders. Ensure your front doors are easily visible from the street. Remove any statues or plants from around your door to help provide an unobstructed view. Trim any bushes or hedges that border the walkway to the entrance of your home. Position a strong light throughout the evening hours to help cast an illumination upon anyone who is trying to make his or her way into your home. Even though you may not be able to guarantee that someone will not still try to make his or her way into your home, you can do your part to ensure everything is protected to the fullest. 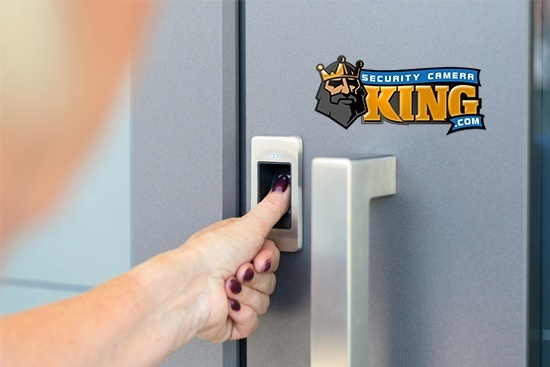 Beyond just enhancing the type of lock you have on your home, lighting, security systems and other mechanisms play an important role to the safety of your home. You are in complete control of everything you do around your home, so make sure to choose products that will help to protect your home and prevent entry. The last thing you want to do is come home to find your home trashed and belongings missing because of a would be burglar. 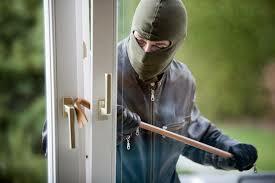 Most of the time, a burglar will proceed elsewhere if they are having problems getting into the home. They also do not want to proceed with breaking into a home that has a security camera in place. Burglars want to get into and out of the property as quickly and efficiently as possible. The last thing they want is to be caught on tape in the act. A burglar’s goal is to take everything they can as quickly as they can and move on to the next target. Getting captured on tape ruins the entire plan, so they will tend to avoid homes that have security cameras in place. Make sure to choose something that is going to work for your individual needs. Plenty of different cameras are on the market, so choose one that is going to protect your property and fit into your budget at the same time. Soon enough you will have the peace of mind that you desire when leaving your home unattended.